Rectangular wood measures 3.5" x 4". This wood style is free-standing and has a tapered thickness from the top to the bottom. A plain, high-quality paper icon mounted on a free-standing wood block. Painted wood color chosen to compliment the icon print. (Sample below shows blue.) 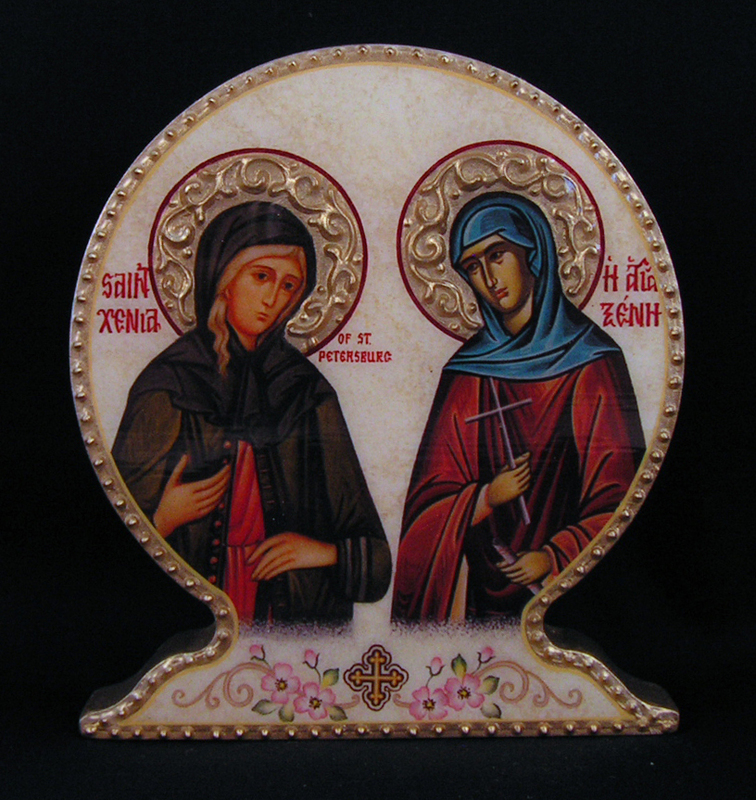 Also includes a small painted border edge around the icon print also in a color complimentary to the icon print. Square shaped wood measures 2" x 2" and is of varying thickness. 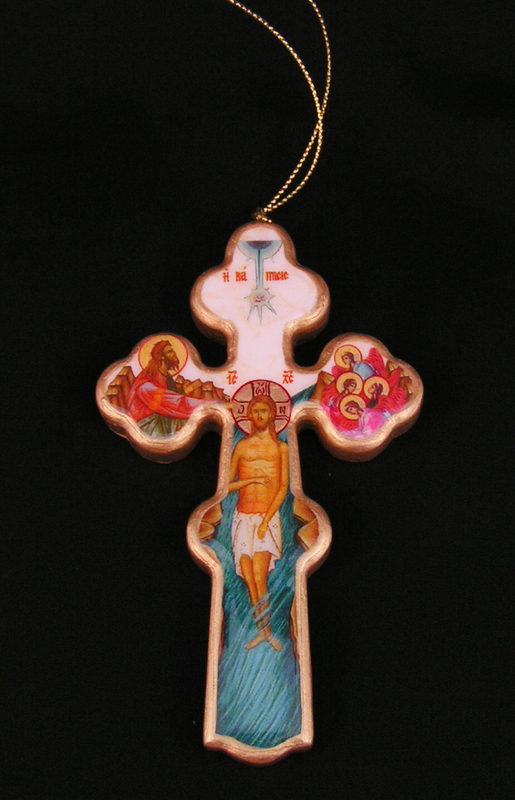 A high-quality paper icon of the Baptism of Christ mounted on a small wooden Cross. Cross measures 4.5" x 2.5" and has gold hanging cord at the top. Free-standing, round wooden favor with a high-quality paper icon precisely cut and mounted on a white marbleized background. Hand painted embossed halo (where applicable). 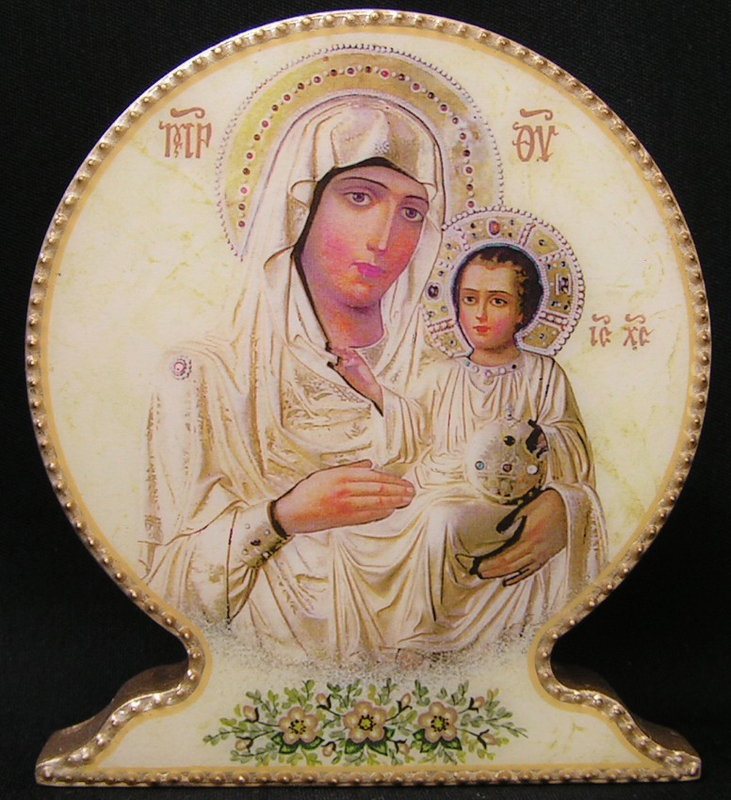 The example below of the Jerusalem Theotokos and Christ-Child has decorative halos from the icon print itself. 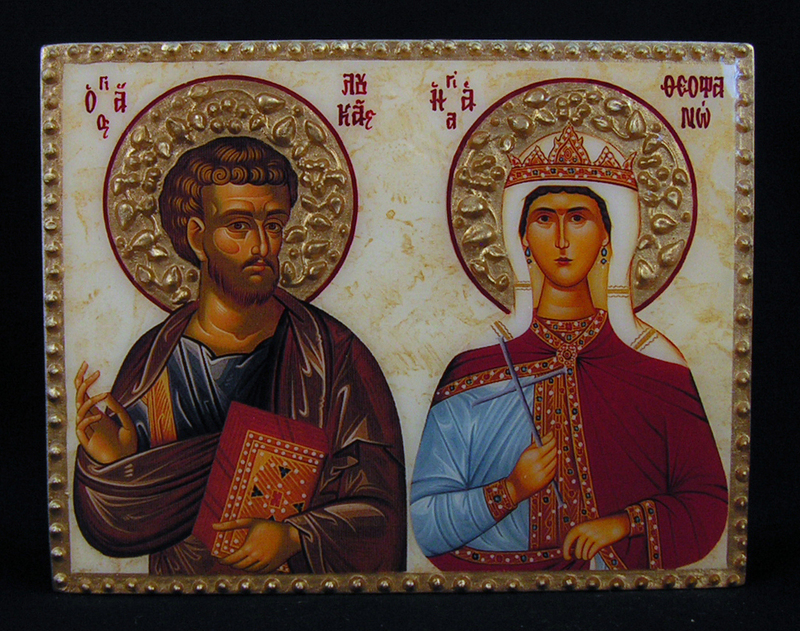 The other examples show the embossed halos. View from the back with the ALMONDS attached.